Most of us spend our time cozied up inside throughout the winter longing for the warm weather to return! We run our homes in overdrive during cold weather. The more time we spend indoors, the more chances there are for a house fire to occur. The National Fire Protection Association (NFPA) claims there are more than 360,000 home structure fires each year, resulting in about $6-8 billion dollars in damage. Never leave the kitchen or hot appliances unattended while cooking. Keep paper products, towels, potholders and other flammable materials away from the stove. Clean your stove and oven often to avoid grease build up. Keep children and pets at least 3 feet away from the stove while food is being prepared. Without the smell of fresh air gliding throughout our homes, many of us often turn to scented candles to spruce things up a bit. Aside from the aroma, you may simply use them to decorate for the holidays. There were an estimated 8,200 candle fires reported from 2012-2016, with December being the peak time of year for them to occur. Falling asleep was a factor in 11% of the home candle fires. Be sure to extinguish all candles before heading to bed at night, and never leave the room with any candles burning. Three of every five home candle fires occurred when some form of combustible material was left or came too close to the candle. 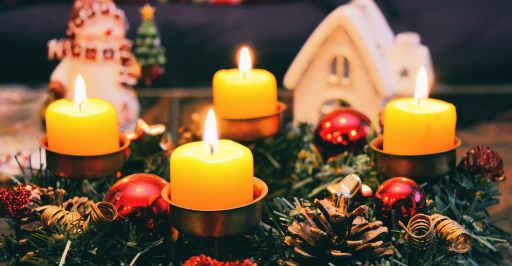 Candles should be placed at a minimum of three feet from combustible materials such as your Christmas tree and/or decorations, curtains, blankets, etc. PRO TIP: There are a variety of flameless scent options available on the market today, such as: wax warmers, oil diffusers and plug in air fresheners. In 2014 alone, smoking materials such as cigarettes, pipes, and cigars caused an estimated 17,200 home fires in the U.S. Smoking materials are the leading cause of fire deaths in America. The warmth of your home may be tempting to smoke in during cold weather, but avoid smoking indoors at all costs. Most deaths result from fires that started in living rooms, family rooms and dens or in bedrooms. Keep cigarettes, lighters, matches and other smoking materials away from children, either high out of reach or locked in a cabinet. Always use a sturdy, deep ashtray to put out smoking materials. Never discard your cigarette in vegetation such as plants, peat moss, mulch or anything else that can ignite easily. Before you toss butts and ashes, ensure they are completely out. Douse them with water or sand to be certain. 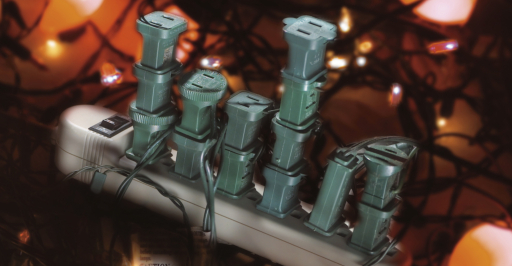 Electrical distribution of lighting equipment was involved in 43% of Christmas tree fires. We know you like to go all out with your Christmas lights, but be sure they are set up safely! Never use lit candles to decorate your tree. Replace any string of lights that has loose bulb connections, frayed wires or a worn appearance with a new strand. Read the manufacturers instructions for how many light strands you can connect. Overloading your outlet and/or power strip can be very dangerous. Always turn Christmas lights off before you leave the house and before heading off to bed. PRO TIP: Often times you can use more LED lights at once as they require less energy than incandescent lights. There are nearly 3,000 dryer fires reported each year that cause an estimated 5 deaths, 100 injuries and $35 million in property loss. Most dryer fires occur in the fall and winter months, peaking in January. The majority of dryer fires start because homeowners fail to clean the dryer. Buildup of lint and other materials often cause dryer fires because the unit cannot release heat appropriately. All that buildup becomes the fuel to a very dangerous fire. To prevent dryer fires, clean lint filters every time you use the dryer. You should also have your dryer vent and ductwork professionally cleaned once a year. In the interim of those cleanings, frequently check your vents and ductwork to ensure nothing is getting backed up. Make sure someone is home and awake while the cycle is going. 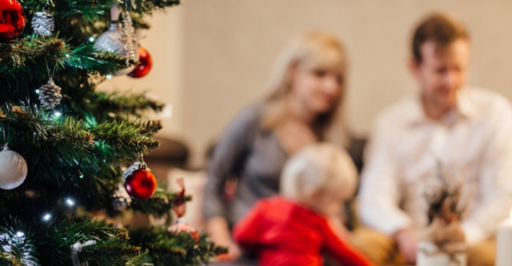 Does your family prefer a real tree for Christmas, or an artificial tree? Well in the case of house fires, both of these options have their fair share of pros and cons – but both pose a fire risk in your home. Real trees tend to be at a higher risk of catching flame because of their needles becoming dry, but artificial trees result in more severe flames with dangerous chemicals and smoke. If using a real tree, be sure to choose one with fresh, green needles that don’t fall off when touched. Cut 2” off the trunk before you place it on the stand. Add water to your tree daily to ensure the needles don’t dry out, real trees are extremely flammable when dry. As with other combustibles, keep your tree three feet away from any heat sources like radiators, fireplaces, heat vents, etc. Make sure your tree isn’t blocking an exit out of the home, like a hallway or door. Now would be a good time to practice your fire escape plan with the family! Majority of home fires are preventable using some forethought and care to minimize their risks. We can help protect your home against fire, and a variety of other perils with our Homeowners Insurance.